Our Fancy Wallpaper business card design template puts you at the center of attention. 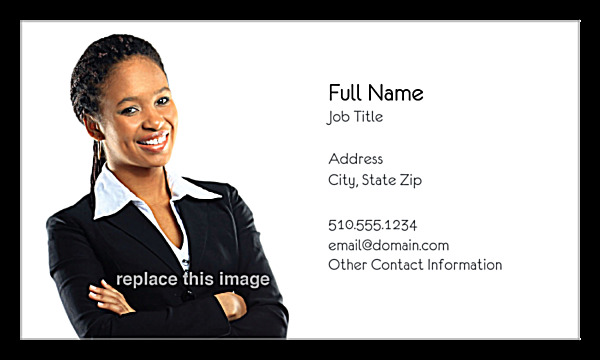 The front includes an editable image area so you can print business cards featuring your professional photo. 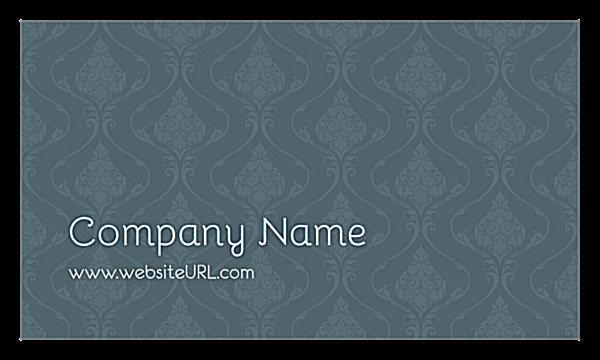 True to its name, the back includes your company name and website URL against a fancy wallpaper-patterned background. Fancy Wallpaper is perfect for consultants, home-based businesses, authors, designers, and any person or company that wants to make a personal connection and build customer relationships. Choose from five different color schemes to fit your brand image, then customize your business card with your own text and choice of four unique trim finishes. Put it all together, and Fancy Wallpaper helps you promote your brand with a personal, professional touch that won’t go unnoticed. Create your own custom business cards fast and easy with the PsPrint design tool. Simply choose your template, color scheme, and edge trim; then, add your own text, logo, and images to print business cards that match your brand and your personality. When you’re done customizing your design, simply go to print – we’ll take care of the rest! In the meantime, you can also download a copy of your business card in PDF format to share with friends and colleagues. If you want quick printing turnaround and reliability, you’ve come to the right place. PsPrint’s state-of-the-art printing presses mean you can create your business card design today and have it delivered to your door just a few days from now – all without sacrificing the premium quality we’re known for. In fact, every business card we print is backed by our customer satisfaction guarantee, so you can be confident choosing PsPrint as your print marketing partner.